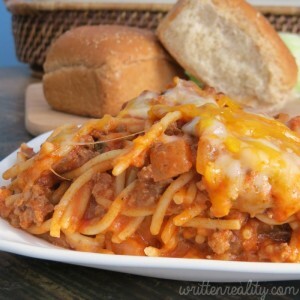 This Ground Beef Pasta Casserole is a family favorite! 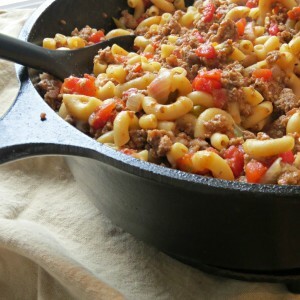 Ground Beef Pasta Casserole : This beefy pasta casserole is a super easy one pan ground beef dish that’s filled with peppers, onions, and wonderful flavors your family will love! 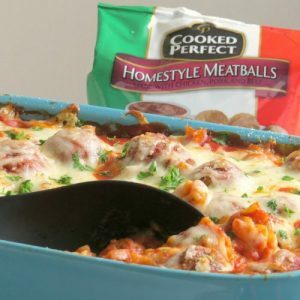 Try this easy Cheesy Meatball Casserole for dinner tonight! 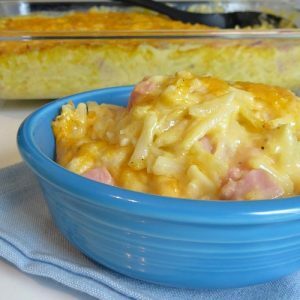 Ham Hash Brown Breakfast Casserole : This cheesy hash brown casserole recipe is a creamy family favorite that’s filled with lots of cheddar cheese. If you’re looking for a quick toss in the oven dinner idea, then this one will be your new favorite find. Easy Chicken Pasta Bake : Don’t have a lot of time to spend on dinner tonight? 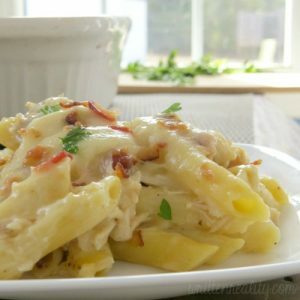 This Chicken & Bacon Pasta Bake is one of our easy dinner casserole recipes that’s ready in 30 minutes or less! 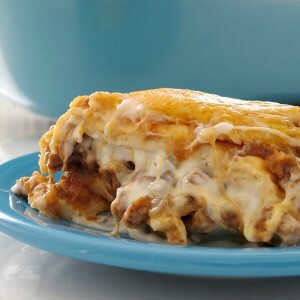 Baked Burrito Casserole: This easy casserole recipe is filled with ground beef and loaded with cheese. 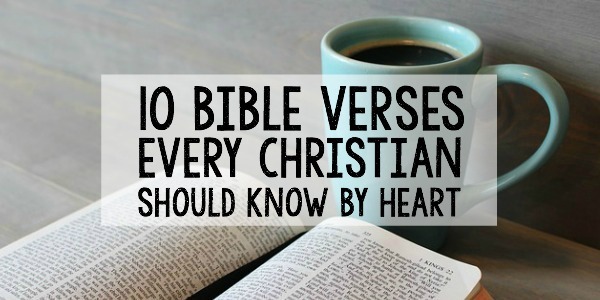 It’s a one dish meal your family will love. Chicken Spaghetti Casserole : Here’s a baked chicken spaghetti casserole that’s hearty, filled with fresh mushrooms and bell peppers, and topped with cheese. 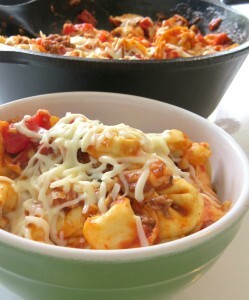 This quick and easy recipe for Baked Tortellini Casserole is loaded with flavor and filled with mozzarella cheese. 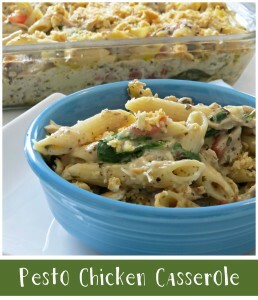 Here’s a Pesto Chicken Casserole recipe that’s super easy to make and filled with flavor. 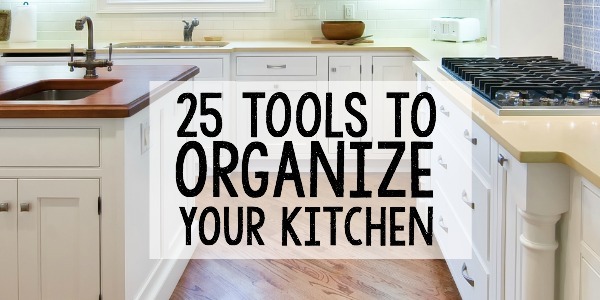 It’s a one dish meal that can be frozen for later, too. 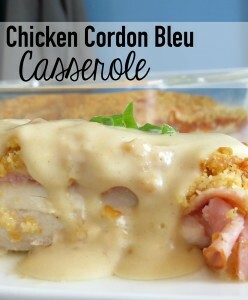 Chicken Cordon Bleu Casserole Is A Crowd-Pleasing Favorite! 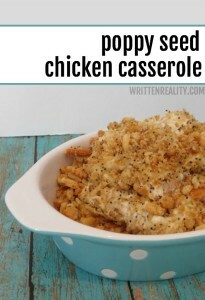 Chicken Cordon Bleu Casserole : Here’s a quick and easy chicken casserole recipe that’s perfect for dinner tonight. 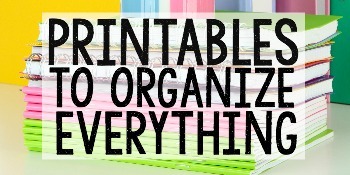 It’s creamy, delicious, and filled with the flavors your family will love! 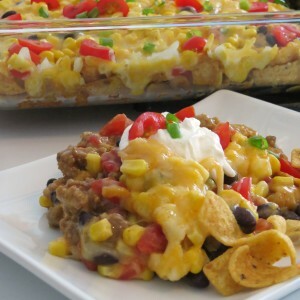 Tex Mex Casserole : Looking for easy casseroles? This Tex Mex Casserole recipe is a super easy meal that’s layered with flavor and all things delicious. 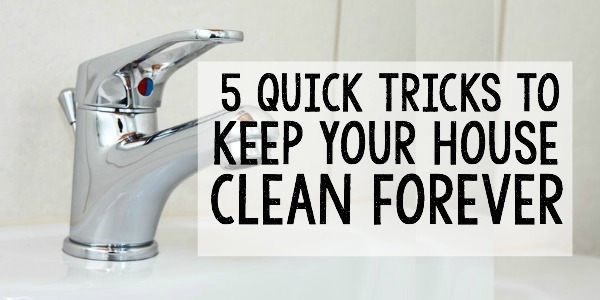 Even better, it’s a quick and easy meal that can be ready to serve in 30 minutes or less! 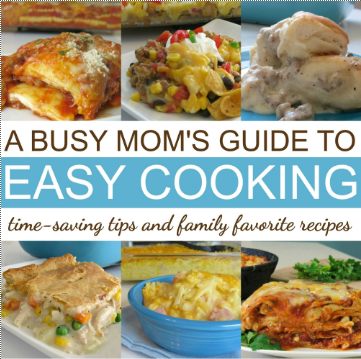 Are you a busy mom looking for something quick to make for dinner tonight? Here are 10 super easy Casseroles Every Mom Should Know. 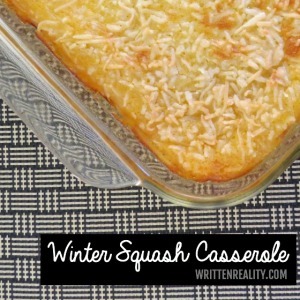 If you’ve never tried Winter Squash Casserole, I am sorry. You are missing one delicious fall dish. It’s a blend of acorn and butternut squash that’s sweet enough to serve for dessert and one of the best flavors to celebrate the season of fall. This cheesy baked spaghetti recipe is a favorite weeknight quick and easy recipe that’s a go-to dinner at our house. 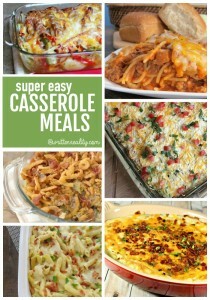 One of our easy casserole recipes you’ll love!